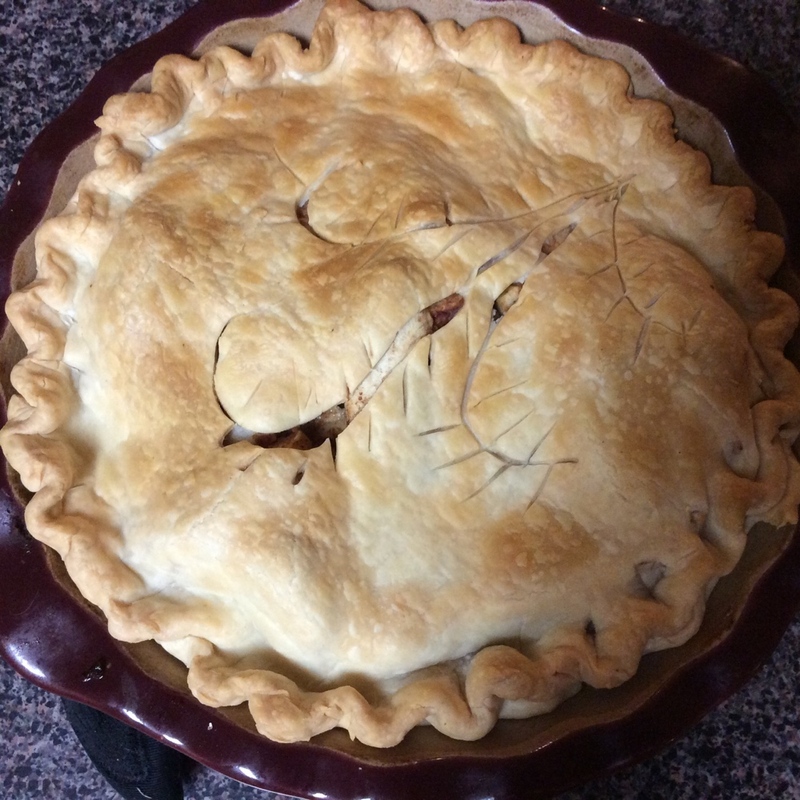 Cooking pie was our last activity for apple week. The kids guessed right away, when they walked in the door from school, and saw the ingredients piled on the counter our project. They quickly went to their journals and started to work. Find the journals here on my Etsy Site. The youngest drew and the older labeled the tools we needed in their journals. 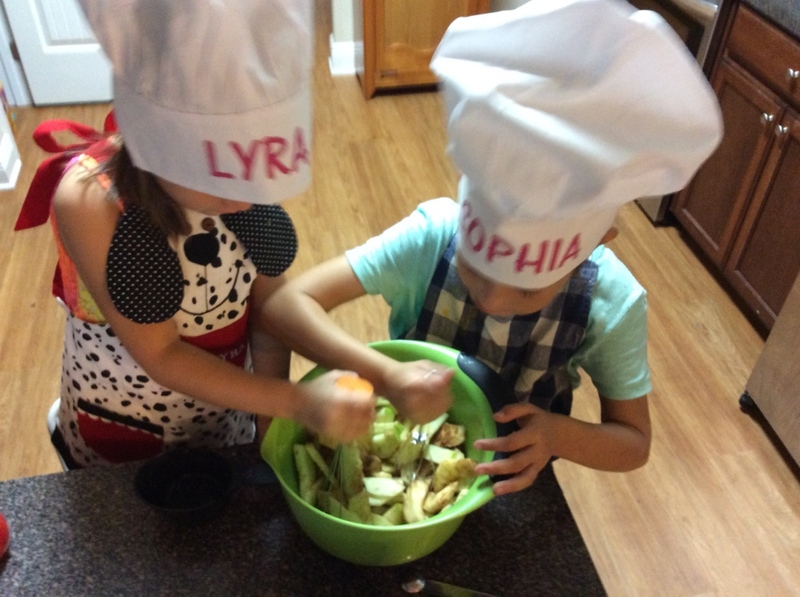 After predicting how the pie would look, they raced to grab their chef hats (from a friend’s pizza party) and aprons then washed up for baking time. 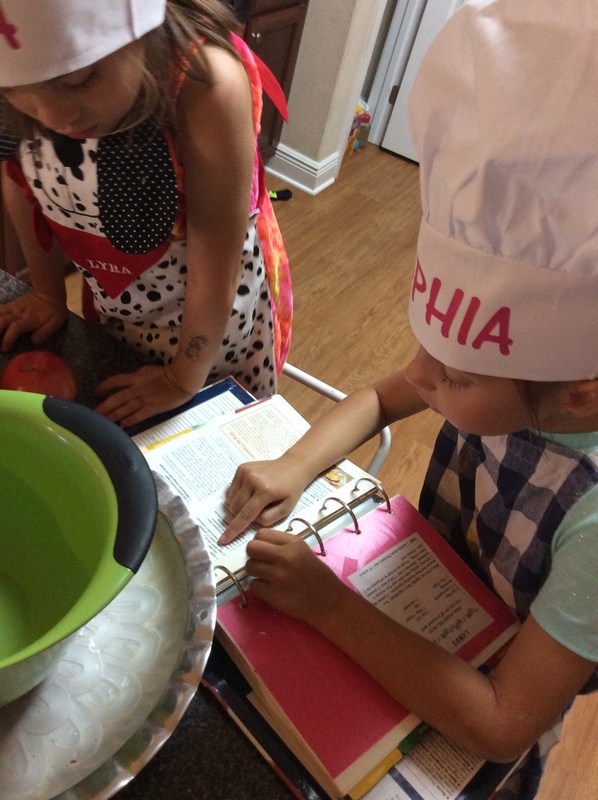 Dusting off one of my cookbooks, I showed the girls how to find apple pie in the index. 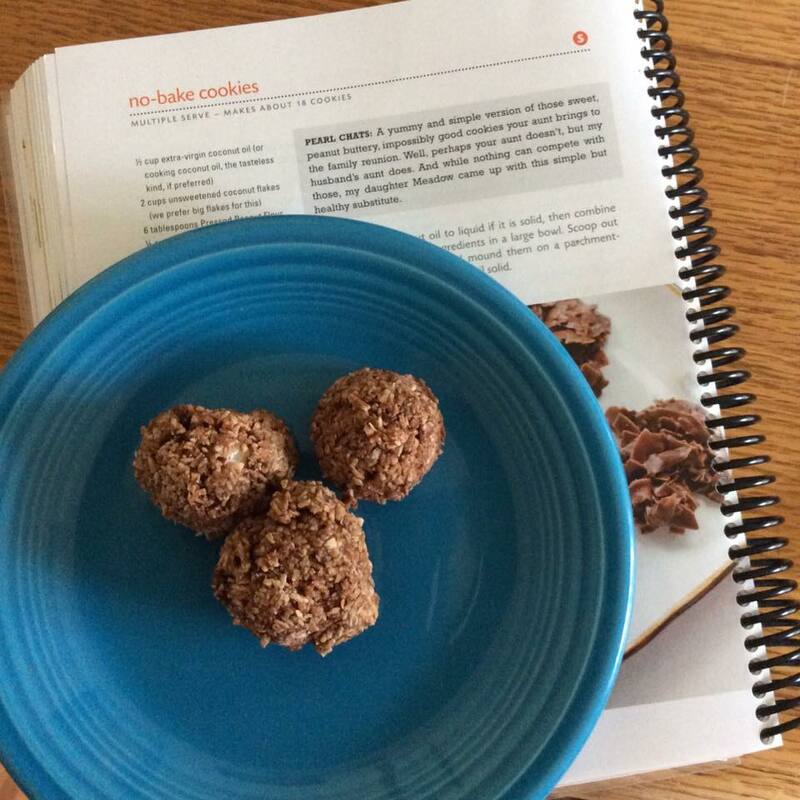 After locating the recipe, I explained how to read and get started baking. As supervisor, I guided them to set the oven, read the fractions and find the right messaging cups for each food. As I busied myself peeling apples, they read and added the ingredients needed to the bowl. Thankfully, apple pie is an easy recipe. It did not take long for the girls to mix up their apple filling. For their cooking venture, I used a store bought crust. Normally, I would have created a THM (Trim Healthy Mama) crust, but this was quick, easy and perfect for kids cooking. As the pie baked, the girls filled out the last bit of their recording sheet and rated the project. 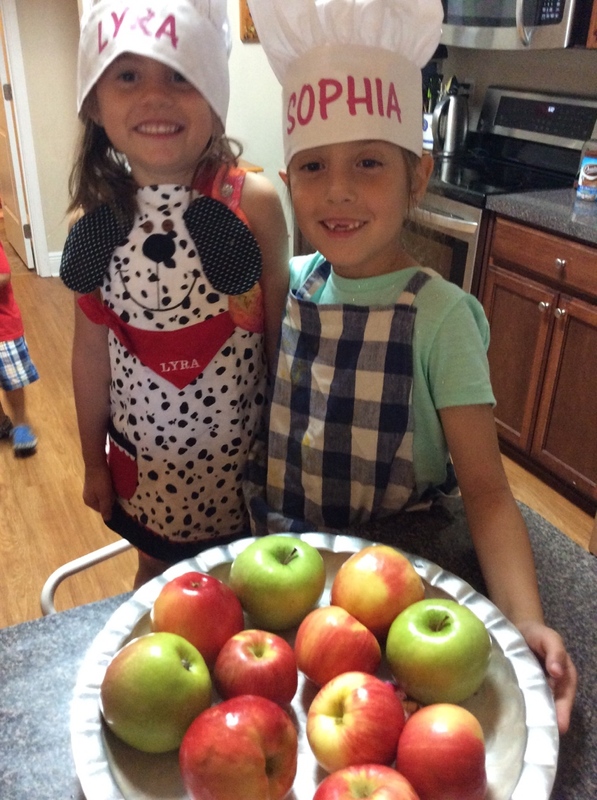 The youngest (3 year old) didn’t have much interest beyond mixing the apples but the girls enjoyed every step. How did I rate the project? Combined with $2.58 for the crust and the cost of apples (spices we had on hand) the project was inexpensive. 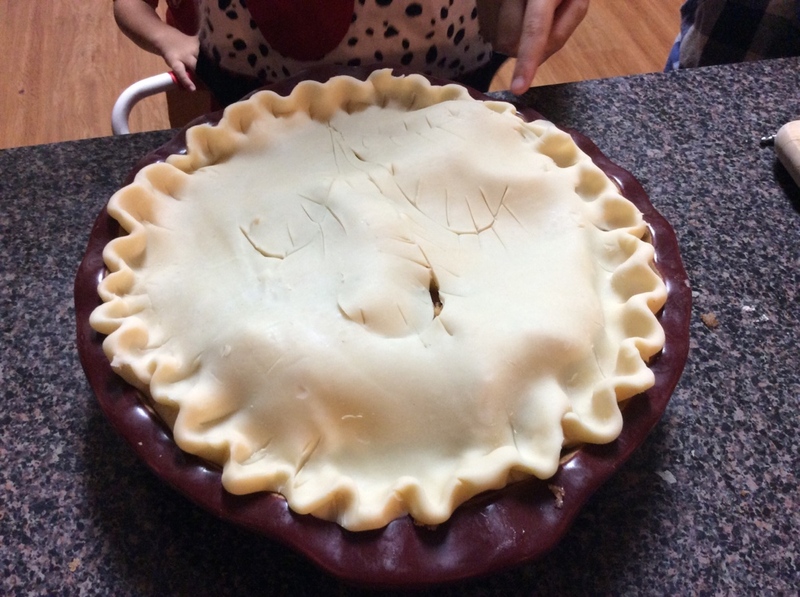 Beyond cutting apples, it didn’t take long to put the pie together. Baking took the longest time however, this allowed the girls to complete their apple journals as they excitedly awaited their pie. Our Free Menu is ready for the last week in September and it is officially fall. Which means, it’s time for some yummy harvest recipes and feel good soups (even though it’s still 90 degrees outside). 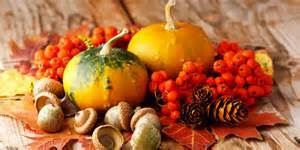 I’m craving the feel and taste of fall and hoping it will give me the motivation to pull down the fall goodies and get to decorating. I am featuring two delicious recipes this week that I’m ready to try! The first, Pumpkin Cheesecake from Home with a Purpose . A blogger dedicated to creative Trim Healthy recipes, this site is a must bookmark on your home page. Every chance I get, I pin her link to save on my THM Pinterest Page. I most looking forward to trying this yummy cake for breakfast!!! The next tasty treat is cheesy biscuits by satisfyingeats.com. Pair these decadent biscuits with a nice fall soup and, for me, turn the air conditioner down, it will feel just like fall! 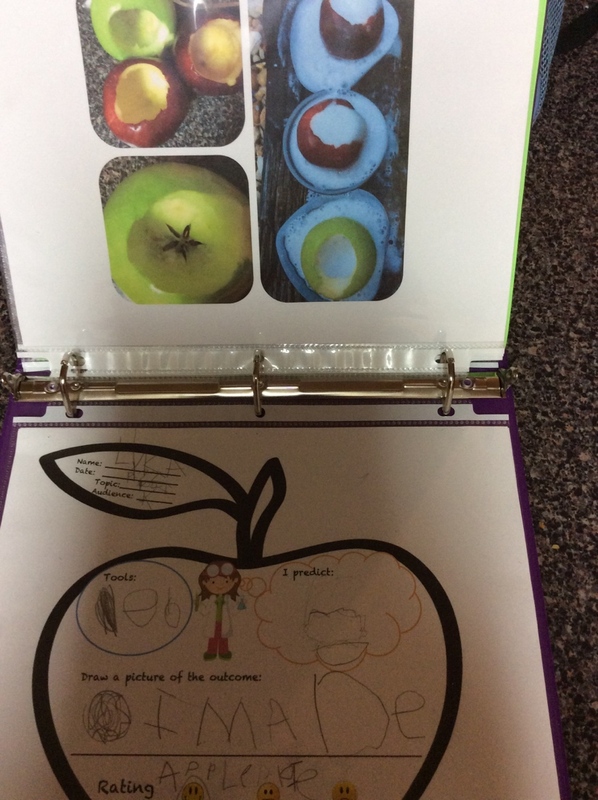 Today’s experiment took a scientific approach to learning with apples. Here the children explored the science of reaction while observing what happened when an acid and a base mixed. For this experiment, I took the most simplistic of science experiments and added our own special twist. Read on to find out how to make your volcanos extra reactive. Again we started our experiment by filling out the first part of our recording sheet. After the girls listed their tools and predictions, we began. 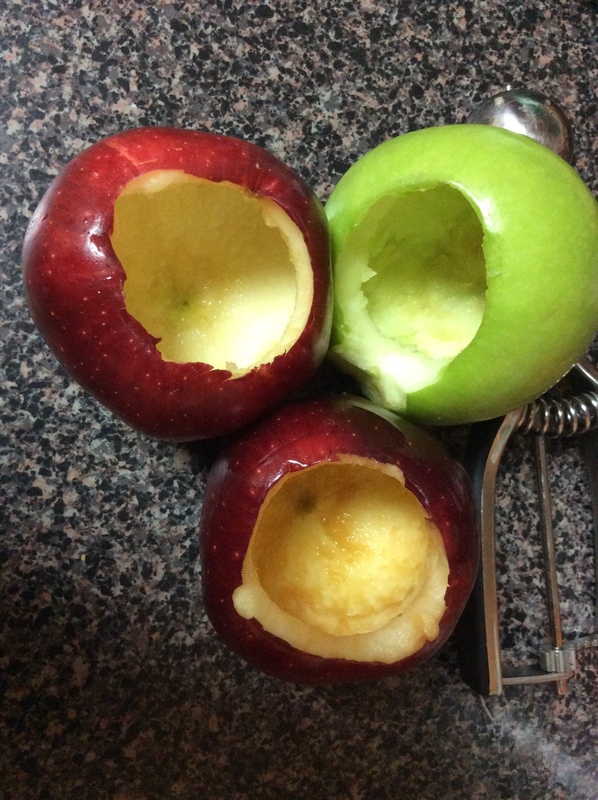 Using a cookie scoop, I had the kids helps me core the apples. While we worked we discussed the properties of the apple. 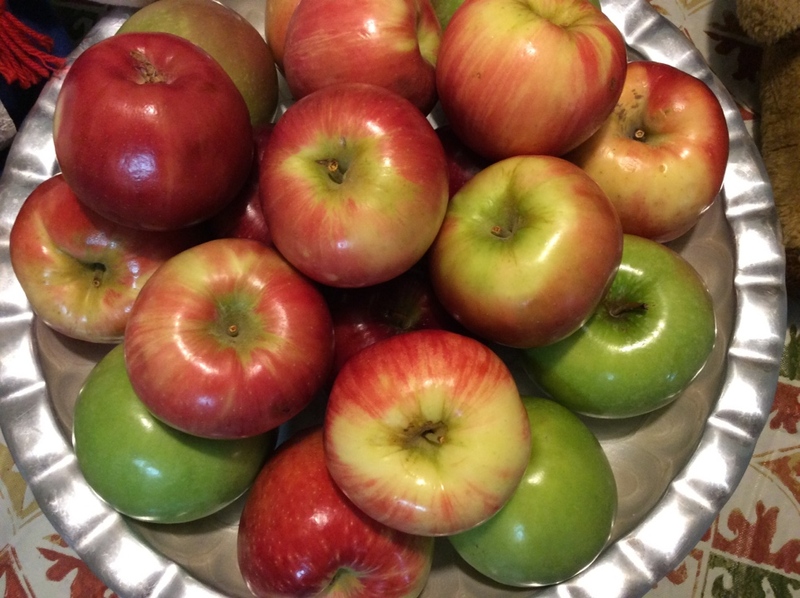 We focused on the five senses describing the taste, texture, smell and look of the apples. 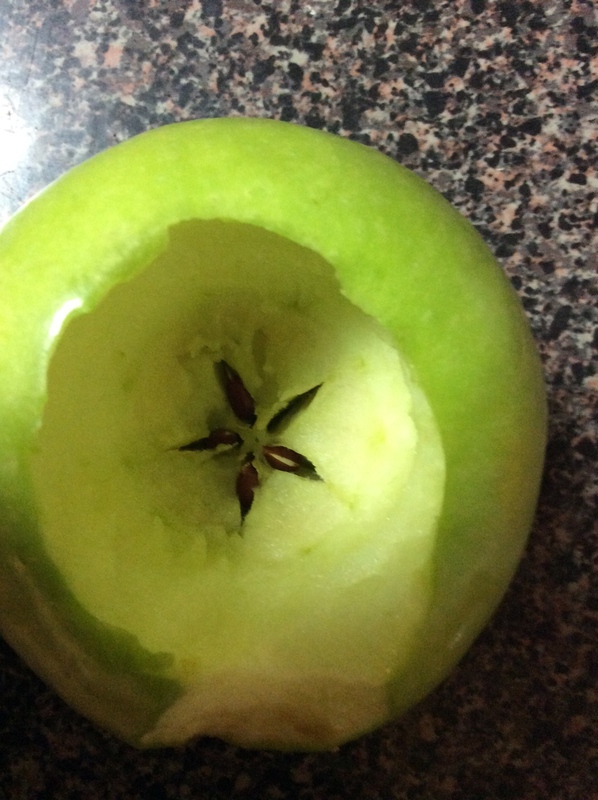 They especially loved to see the inside star design of the Apple. 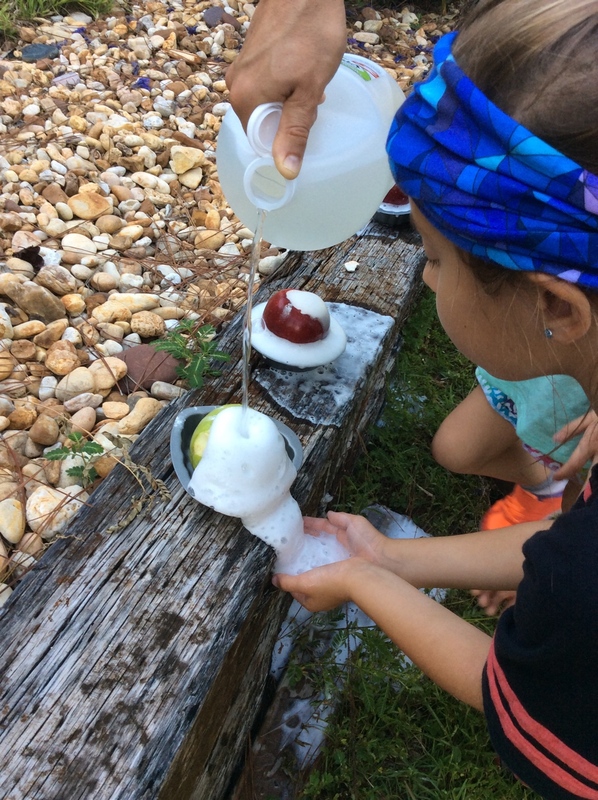 Once the apples were gutted, the kids added a scoop of baking soda. 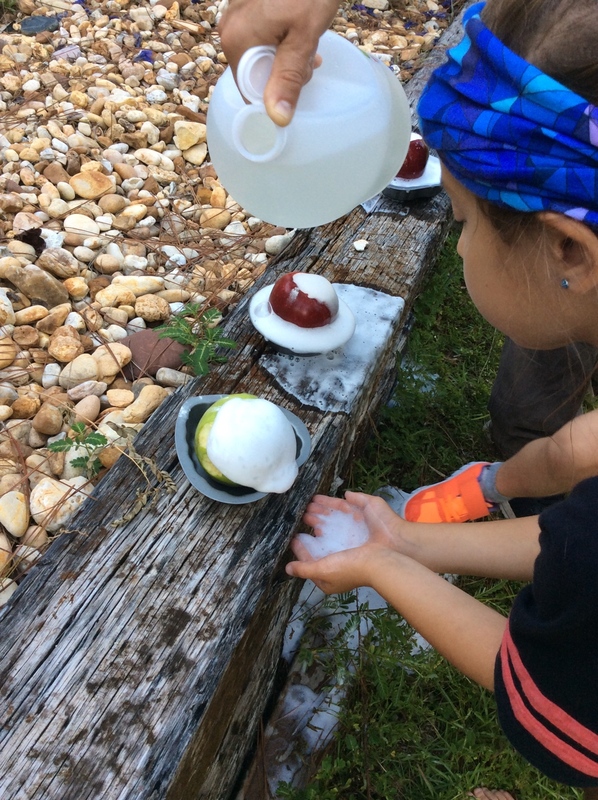 On top of the baking soda we added our special ingredient, a squirt of dish soap. We then traveled to the backyard for the experiment. 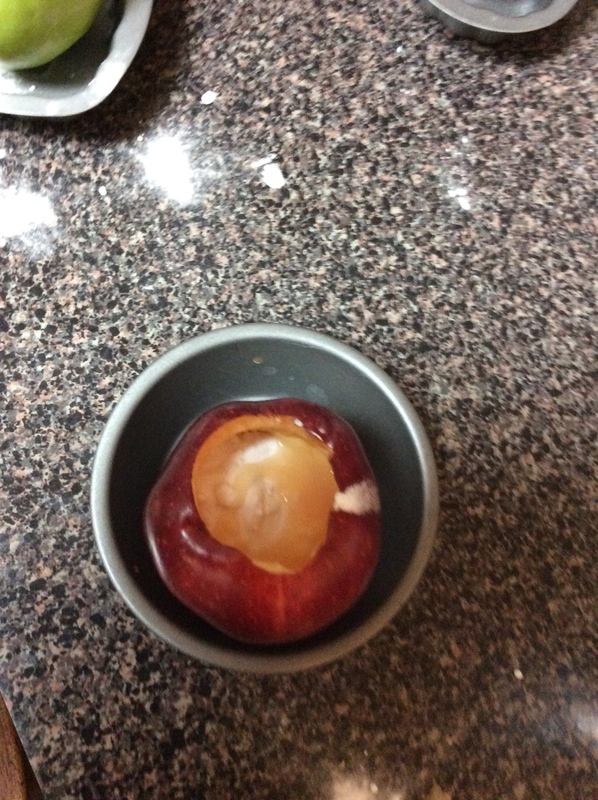 We poured vinegar on top of the apples, while discussing about the reaction they saw. The dish soap made the volcano extra reactive. It was so fun to see the bubbles flowing down the side of the wall from the apples. 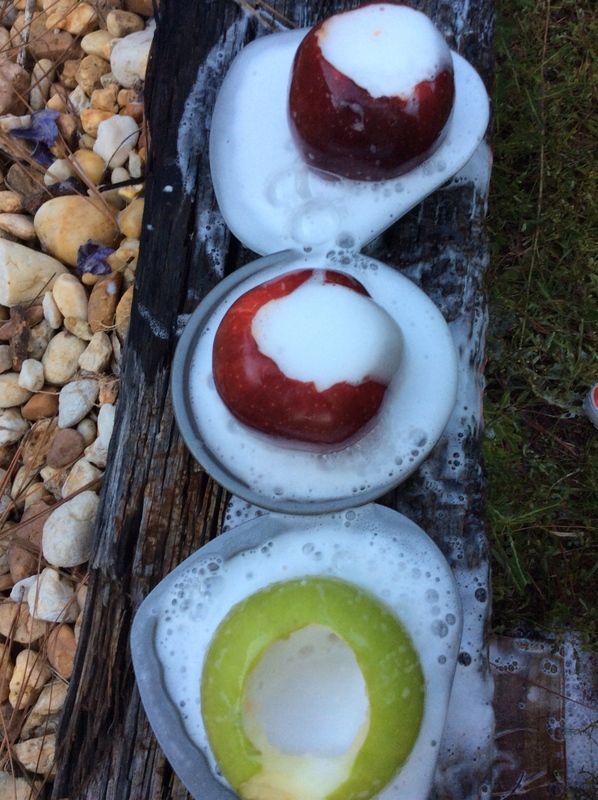 For extra fun, the kids launched the apples, disintegrating them for use in our compost. The girls recorded their response and again rated the experiment. They loved it and had lots of fun learning. How did I rate this experiment? I loved it! All the children were engaged from start to finish. It was again not expensive. 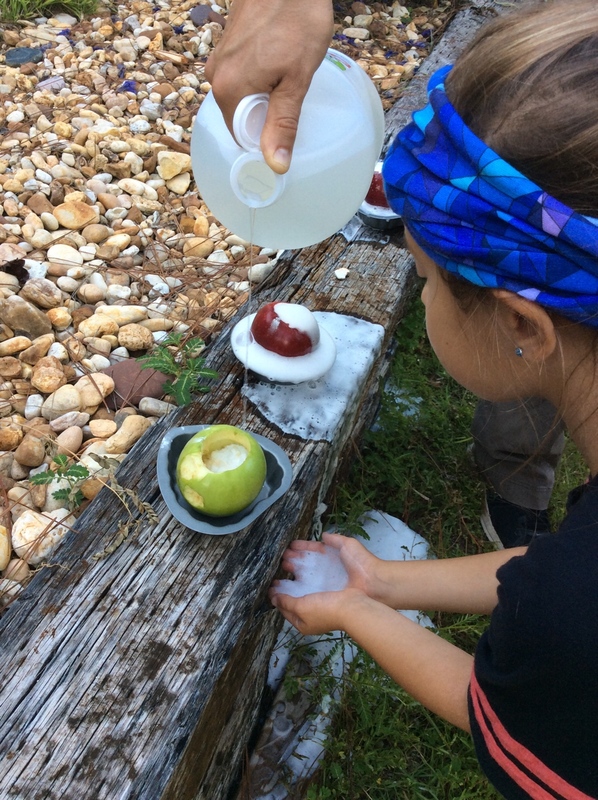 All we needed was apples, baking soda, dish soap & vinegar (all items we had on hand). What did I like best, the kids reaction, of course! 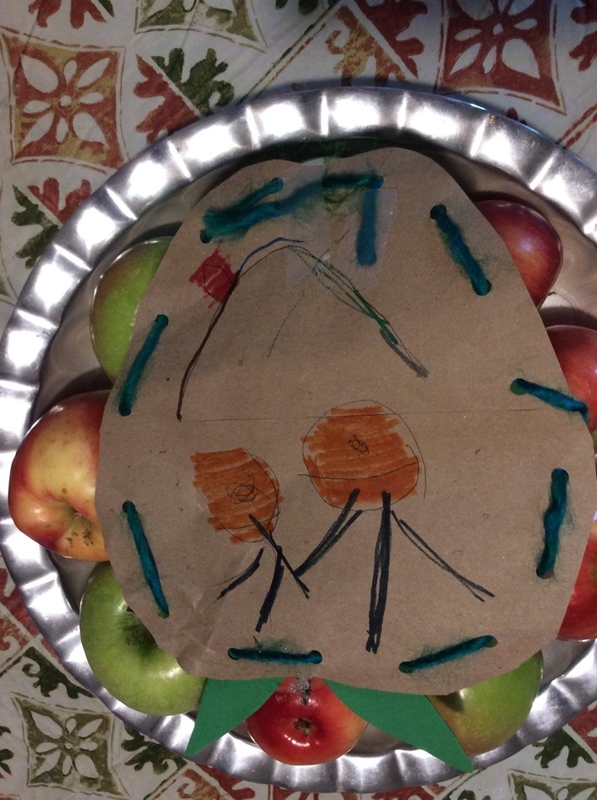 On Monday, our kindergartener came home with an assignment to create with apples. Creative ideas came home with the assignment however, our own children had something special in mind. 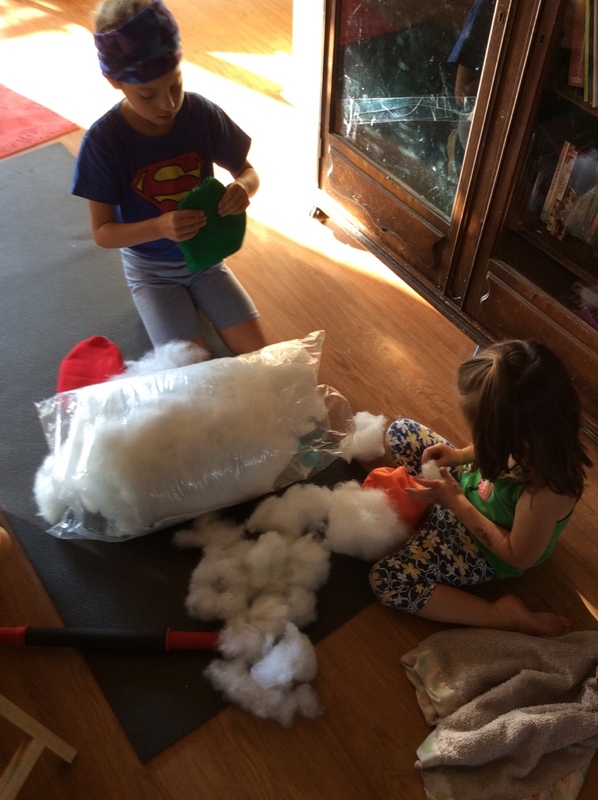 The 5 year old wanted to bake, the 7 year old sew and the 3 year old wanted a volcano. So off to the drawing board to create some unique projects. Over the next couple posts, I will blog about the activities we designed. 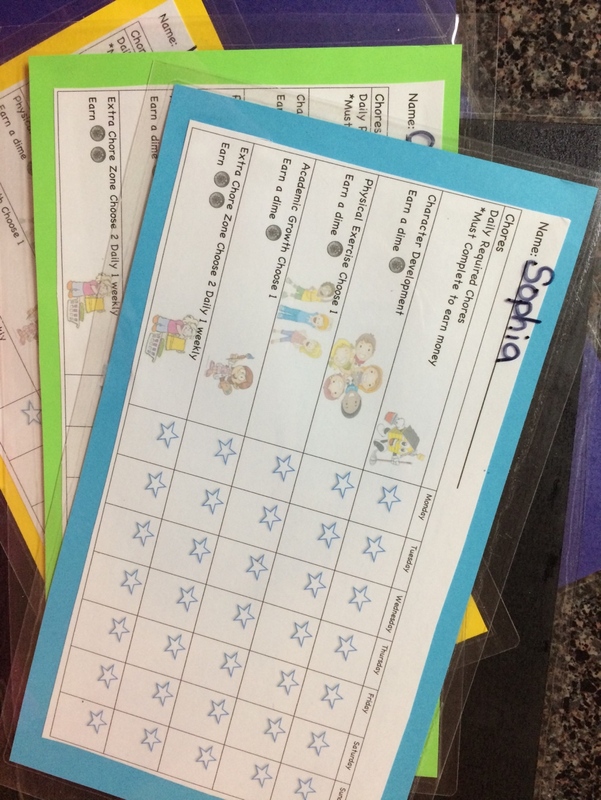 Along with projects, I created a unique early learning recording sheet we used for each activity (available on my Etsy page). For the first project, I printed an apple on cardstock and precut the center. I gave each child a recording page. 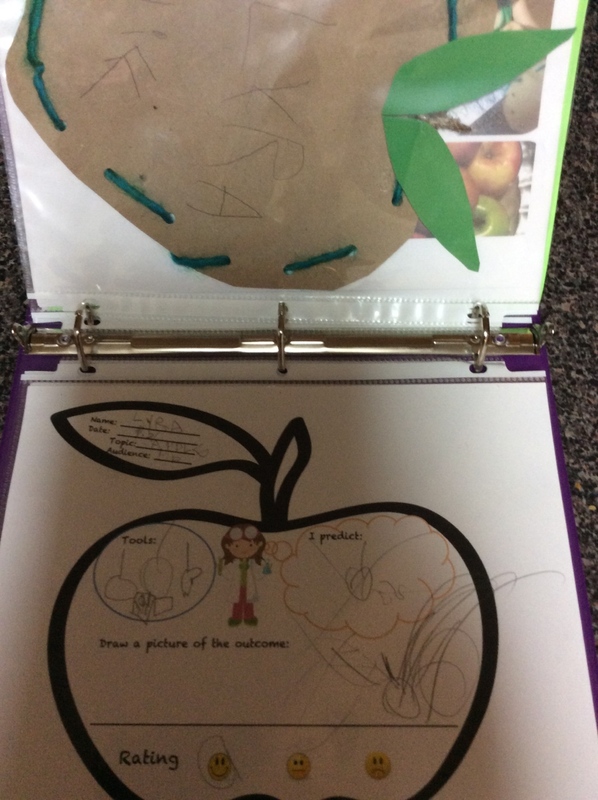 In the top section, in the leaf, they wrote their name, date, topic and purpose for their project. The left circle is for the tools needed. I had the 5 year old draw picture while the oldest had to draw and label. Predictions came next as they considered what project they might do with the tools listed. The last section was to record their results and rate the project. Visit my Etsy page to see the recording sheet. 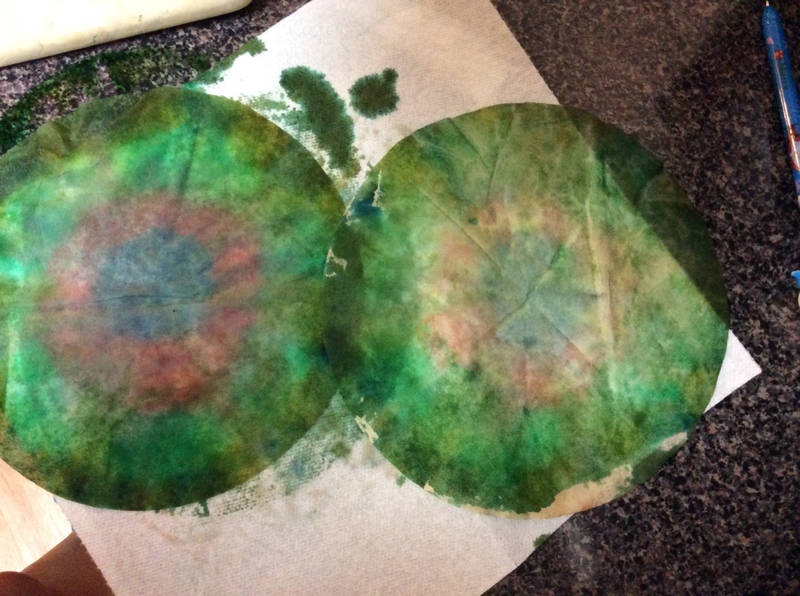 After giving each child a set of markers and a coffee filter, I had them cover the paper with color. The more the filter is covered with makers, the easier for the magic, I explained! Next, I filled small cups with water, helped them fold their filters into a triangle and invited them dip the filter into the water. 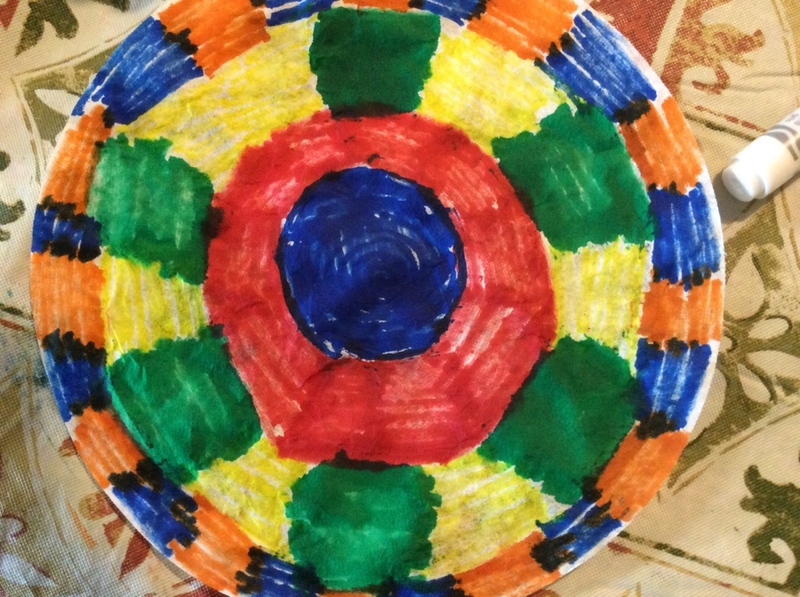 Colors flowered together and the children enjoyed watching the magic of their art. 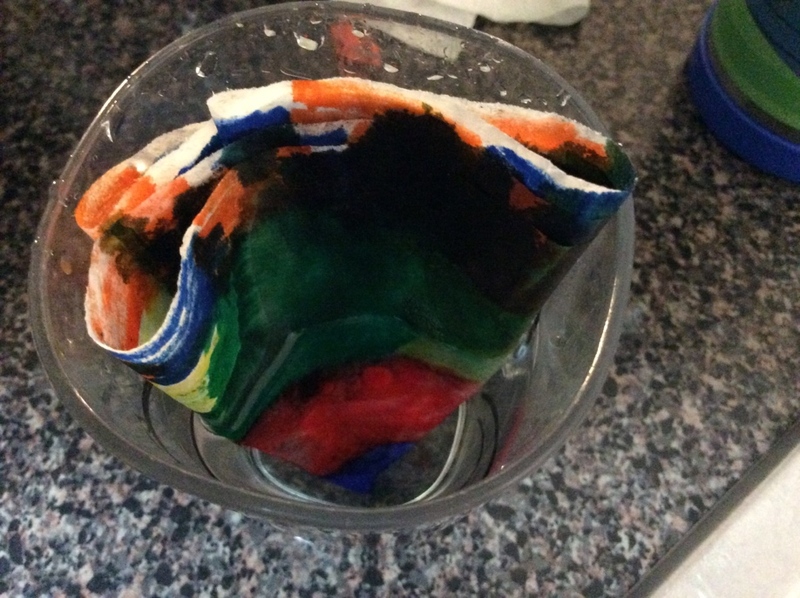 I squeezed the rest of the water and placed on a paper towel to dry. 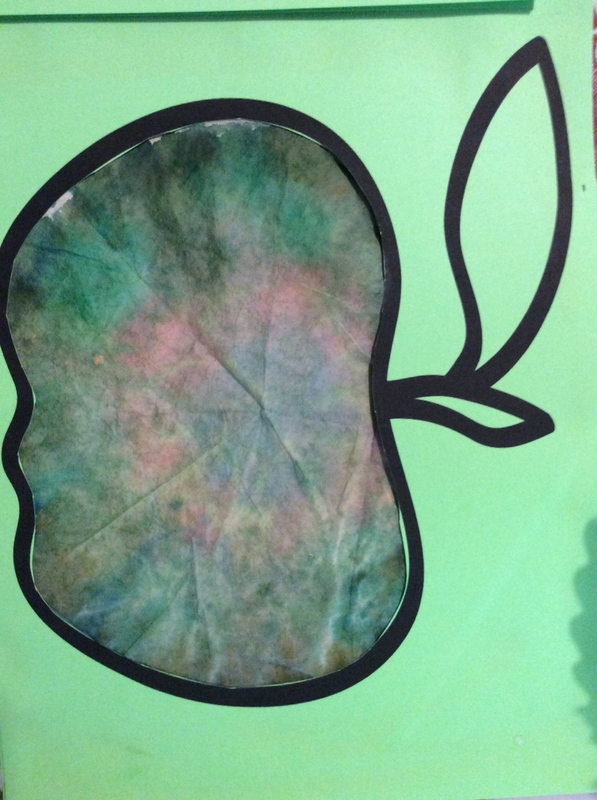 After the filters had dried, we taped them on the back of the cut-out apple and glued a second piece of cardstock to the back of the Apple. With their results in hand, the older kids completed their journal entry and rated the activity. As for my rating, it was a simple and inexpensive project that captivated even the youngest; well worth the time and effort. Even looking at the project now, there are many different ways to make this project unique and fun. 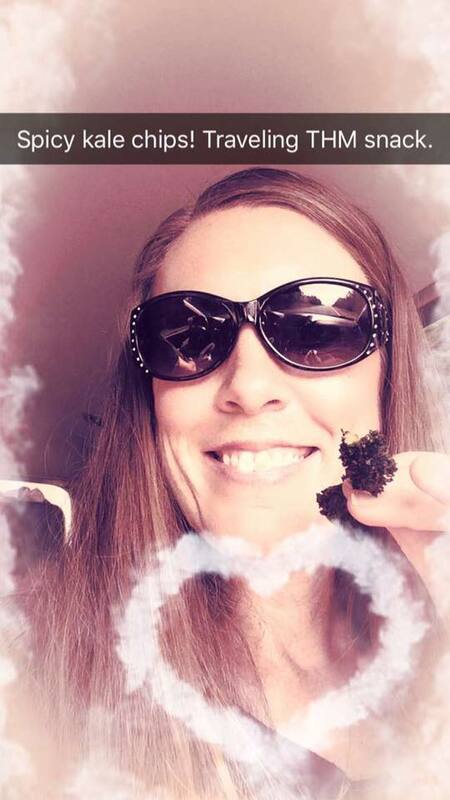 We could have cut out the stem and leaf and added more filters. The front of the project could have added some unique design. Have another fun addition to this craft, list it below! I would love to hear your ideas and feature in a future project! 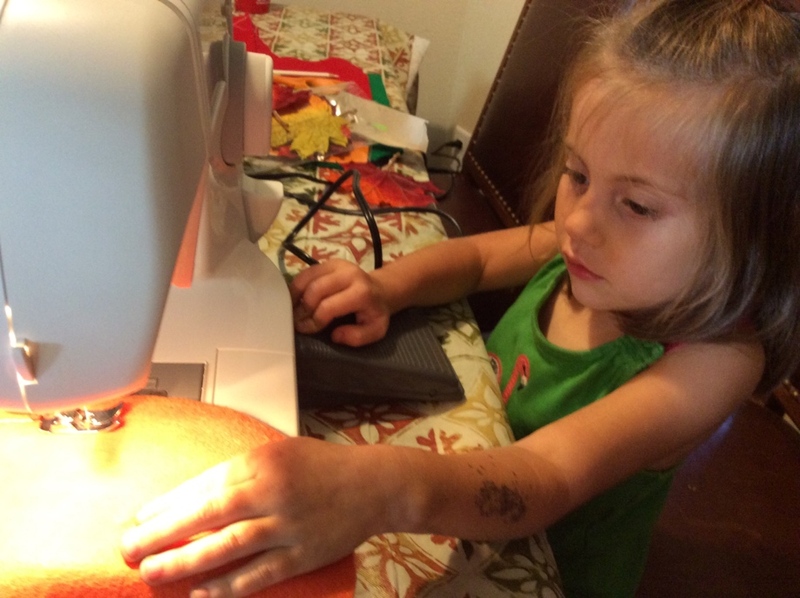 Our next project was sewing. 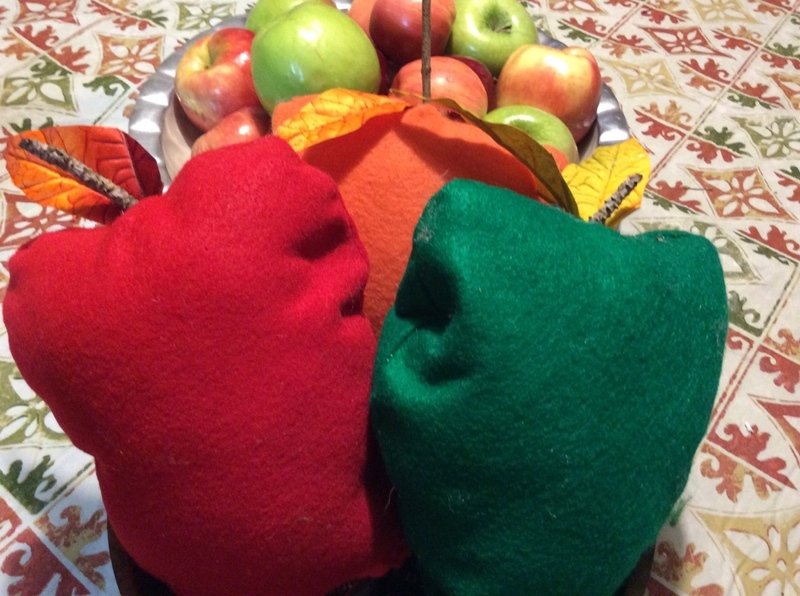 I first pre-cut the apples from felt. 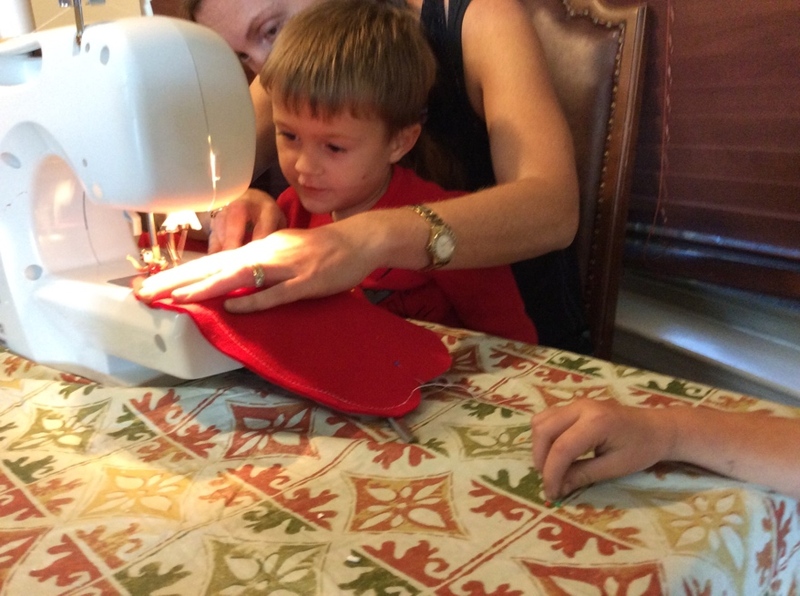 Then came the sewing machine where we stitched the apples. This was by far the most exciting time for the kids (and the most stressful for me). We turned our apples right side out and the kids stuffed each with batting. 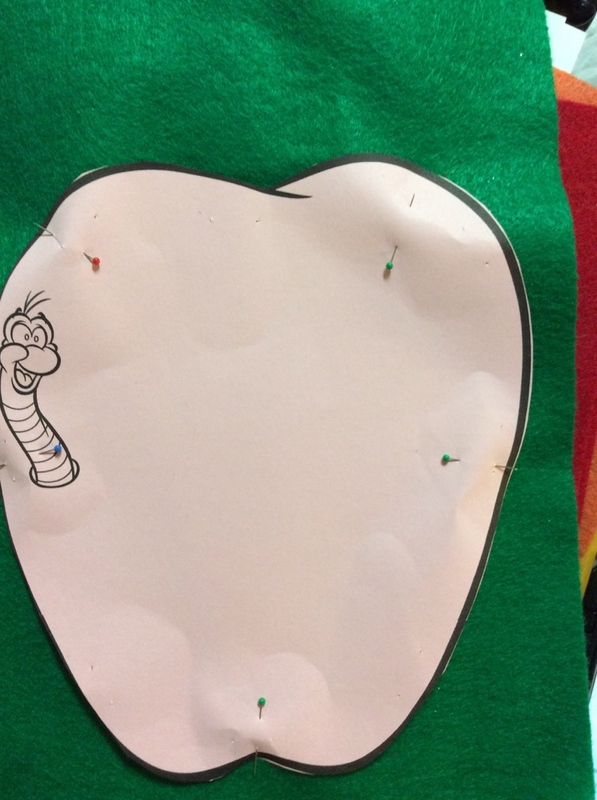 This took some work and was a bit tedious, but with help from their dad, apples were ready to sew closed. 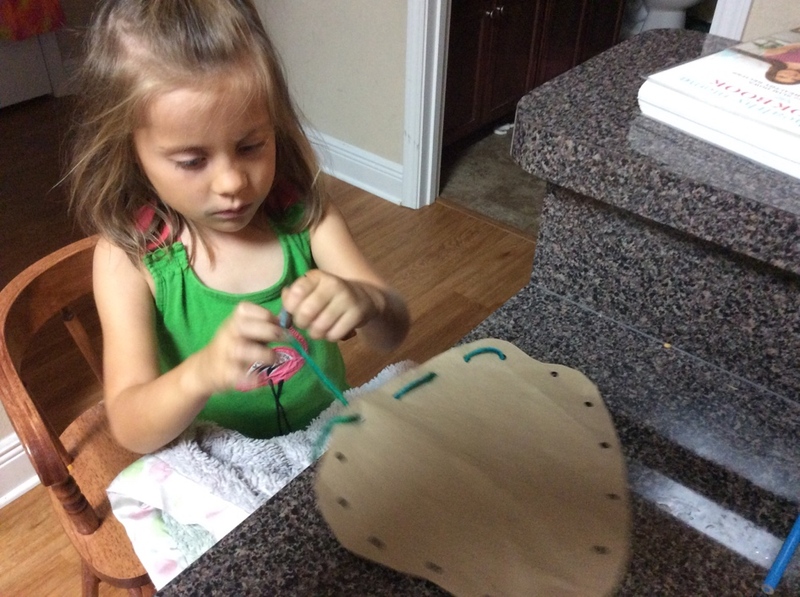 We helped the oldest sew her apple, however, I gave the 5 year old something a easier to practice sewing (a paper bag punched with holes and a bit of yarn taped at the end for a needle). 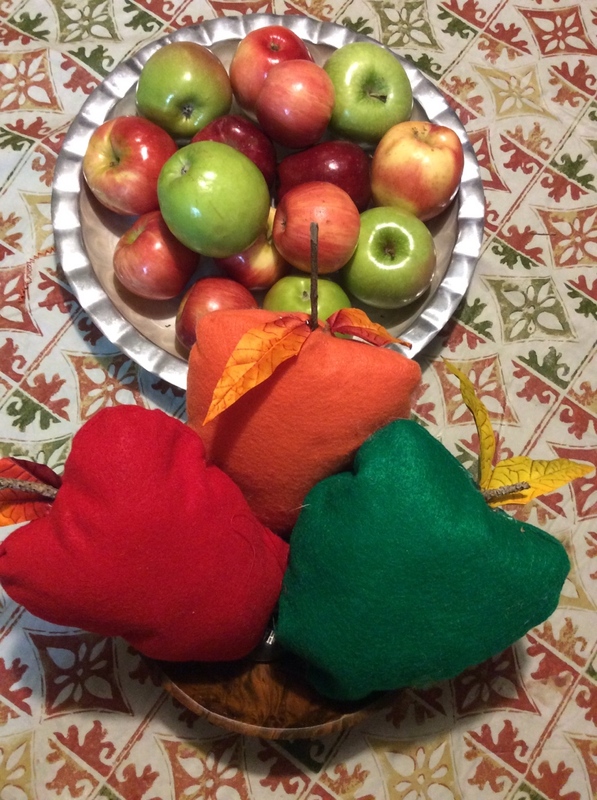 After we were all done sewing, we hot glued some fabric leaves and stems (scavenged from outside) to their apples. 2nd project complete!! Again, they completed their journals and rated their project. How did I rate the 2nd project? It was inexpensive. From Walmart, I picked up 6 pieces of fabric at .23 ($1.38 total) and .99 cents for fabric leaves (which my husband cut to resemble apple leaves). 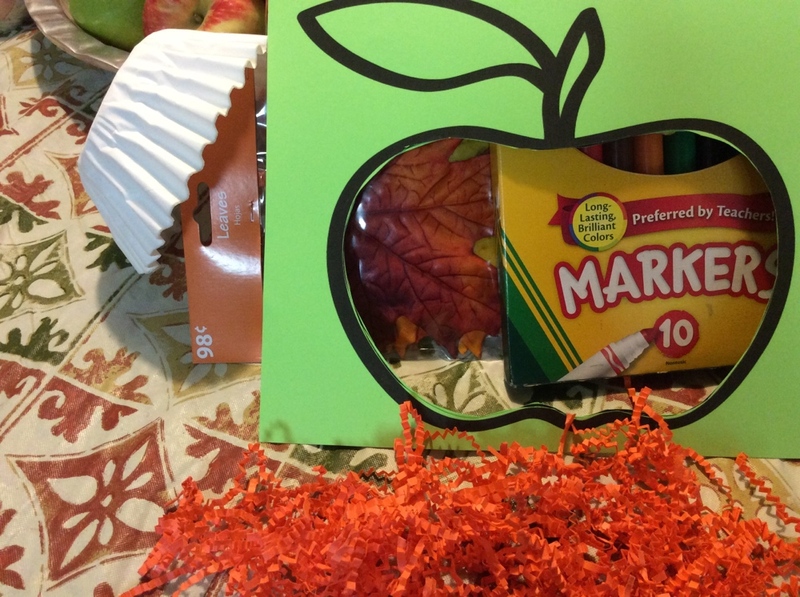 We already had stuffing on hand but you could easily use bean, rice, strips of paper bags to fill your apples. Adversely, this project was more time consuming and lost the attention of the youngest. 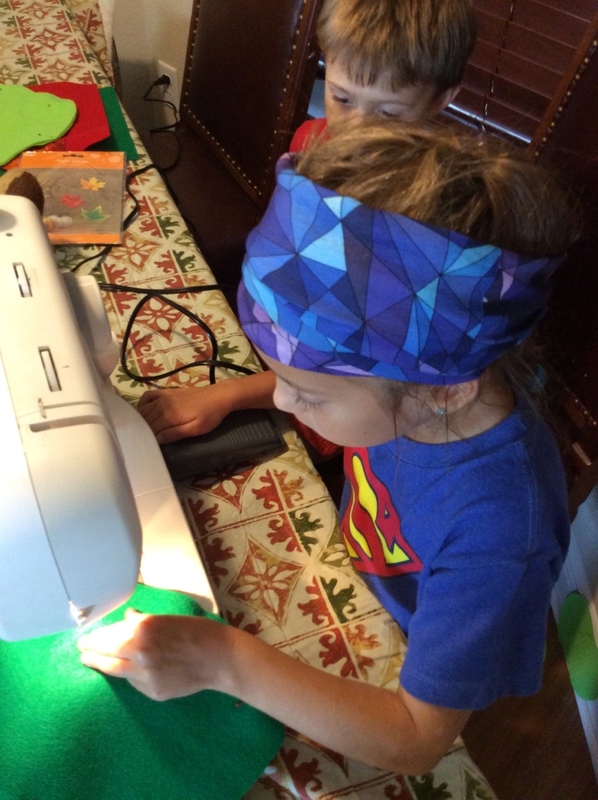 However, The older two, LOVED every step (especially sewing on the machine). Craft day complete! Who has signed up to Read for the Record with the Jumpstart Campaign on October 27, 2016? I just received my books in the mail which reminded me to set up a reading event in the community. Yesterday, I sent off a couple of emails to my children’s teachers and ordered them each a book for their classroom. I love this program which is so important for young readers. 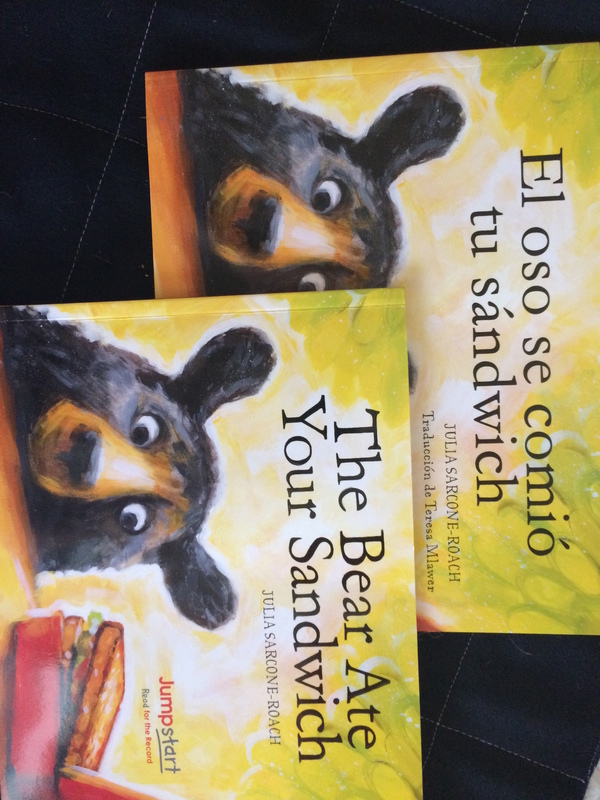 This year’s book is The Bear Ate Your Sandwich by Julia Sarcone-Roach. This adorable story is about a mischievous bear on the adventure of a lifetime. Travel with the bear on his adventure to the big city and back home. There are a load of classroom and at home materials to accompany the book on the Jumpstart website! Enjoy, happy reading and let’s Read for the Record!! After a quick trip to Big Lots, I found a few containers to label. Each drawer is stocked with fruit, veggies and meat/ cheese. To be honest, for the first couple weeks, I tried to separate fruit and veggies into baggies but this was to much work and time consuming. So now, we just place the items in each draw for them to choose. Not every vegetable and fruit is available each week since it would be a bit expensive. 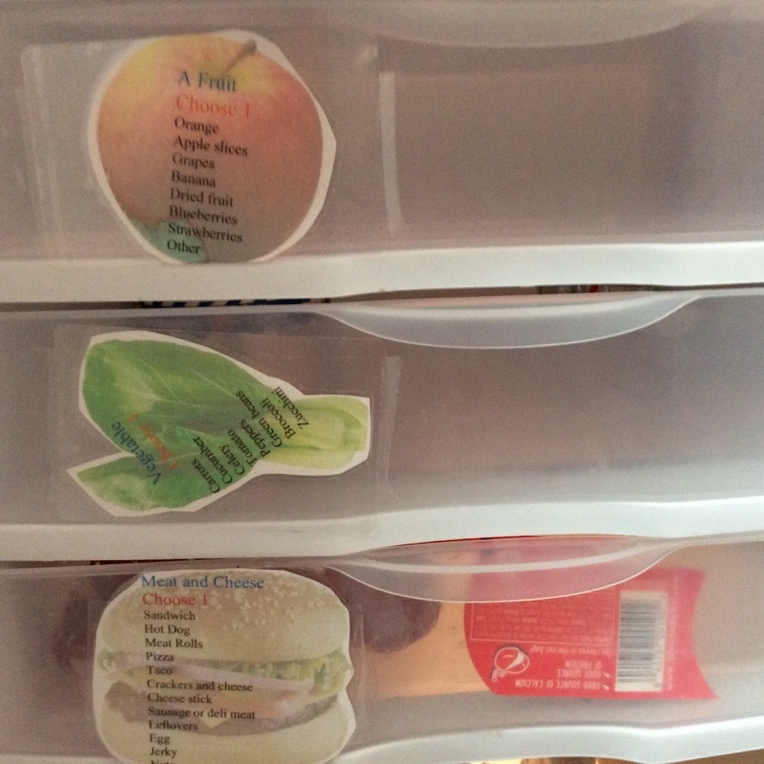 However, it is our goal that our children at least attempt to pack their own lunch with a few choices. They must pack one of each fruit, vegetable, meat, treat and drink. 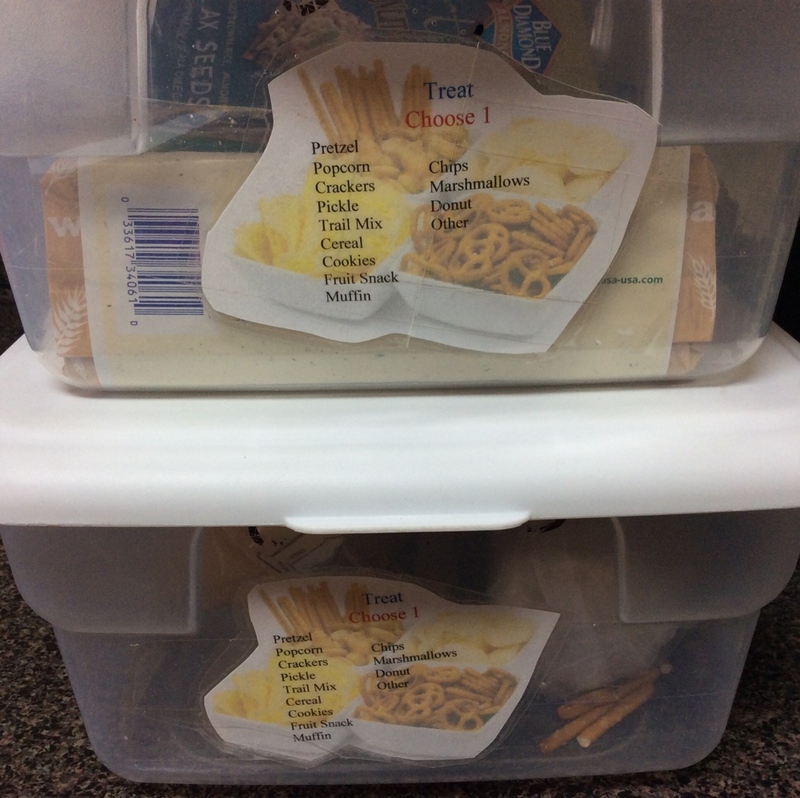 Take a quick trip to my Esty page for a free lunch bin template. Then snap & share pictures of your young ones packing their lunches. 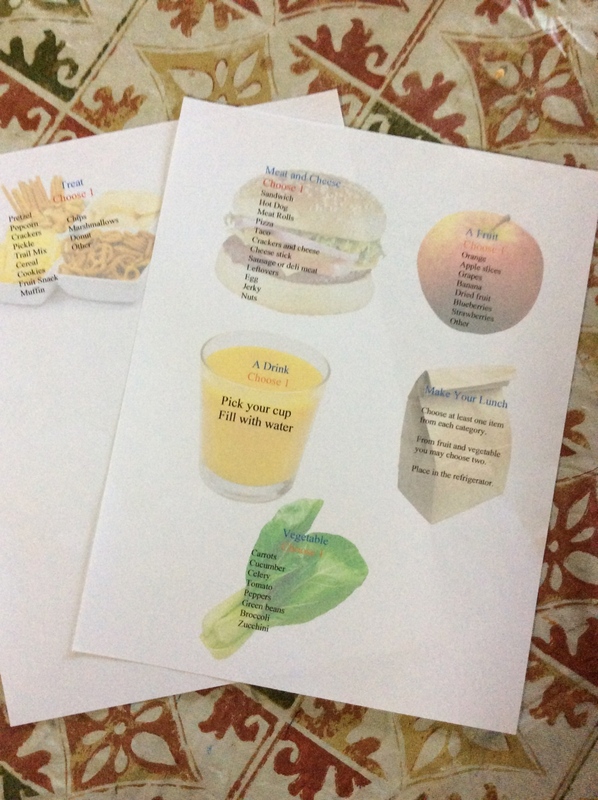 Weekly I plan our menu and do grocery shopping. We may not always stick to our menu but, this outline give our busy lives one less stress. For the past couple years I’ve posted our weekly menus on our local, unoffical, THM (Trim Healthy Mama) facebook page. Not only has this kept me going but it keeps me focused on my THM lifestyle. What is Trim Healthy Mama? Developed by Serene Allison and Pearl Barrett, Trim Healthy Mama is a lifestyle of eating which has allowed me to lose over 40 pounds. Two and a half years ago I was at a size 16 and looking for a way to lose weight after three babies. January 2014, I happened to catch a morning talk show where Serene Allison & Pearl Barrett were featured. What caught my attention? No more fads, eating desert for breakfast, and losing weight; I could get behind a program like that! I ordered the original book, read it & decided to give it a try. Within 6 months I had lost 30 pounds, was a size 6 and enjoying my workouts. In less than I year I was a size 4 and have been ever since. Looking for a healthy style of eating? I would highly recommend trying Trim Healthy Mama. There are many supportive facebook pages, websites, bloggers and pinterest boards to help you get started. 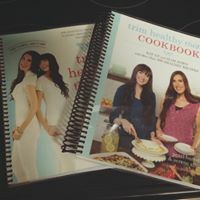 The first step I would suggest is ordering the new THM plan book and Cookbook. Many of my meals reference in our men is in the cookbook. The books don’t come spiral bound. But, I was able to bind both books with plastic covers for around $7.00 each at staples. Here is our Family Menu and weekly shopping list for September 19- September 25. The shopping list is not complete as I don’t list items I already have in stock. 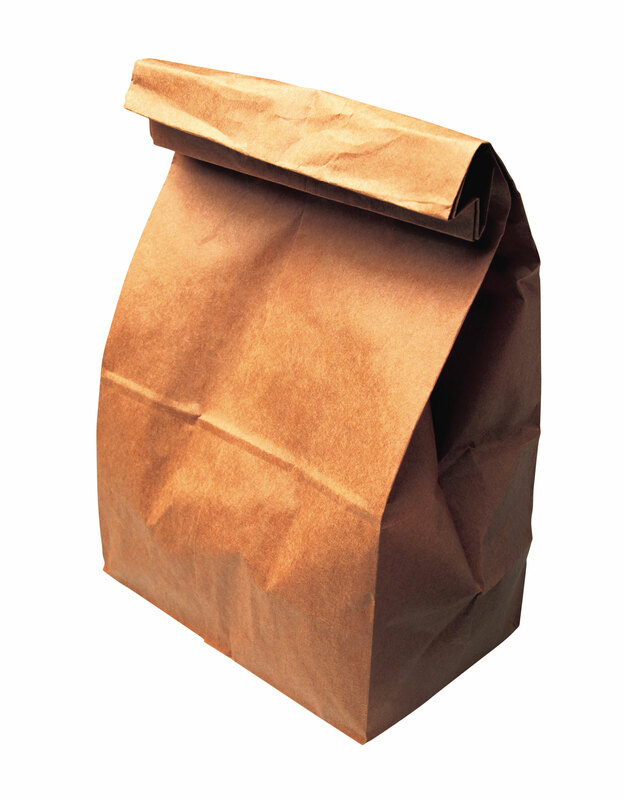 I will be posting periodically family favorite meals and treats. Enjoy and welcome to my THM lifestyle! 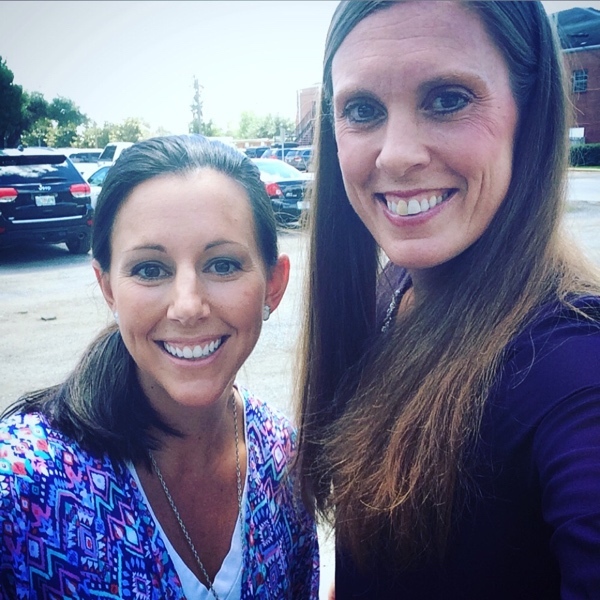 I had so much fun heading out to a business lunch at the Wild Olive with this amazing lady. She’s my sponsor, good friend and an overall lovely lady. I so appreciate her help, kindness and positivity! Thanks Leslie for a fun time. My little buddy wasn’t feeling to well so he joined in the meeting. What a perfect way to run a business, have a family and spend time with friends. While we were there, we did a live video on facebook talking about how the business has helped and future events to unfold. It’s always a little scary to go live but also exhilarating. I feel like we ran a mile before we even ate! So, it was off to my drawing board. First, I listed what responsibilities my husband and I wanted for our children. Our children are required to complete personal chores before earning money for additional jobs. 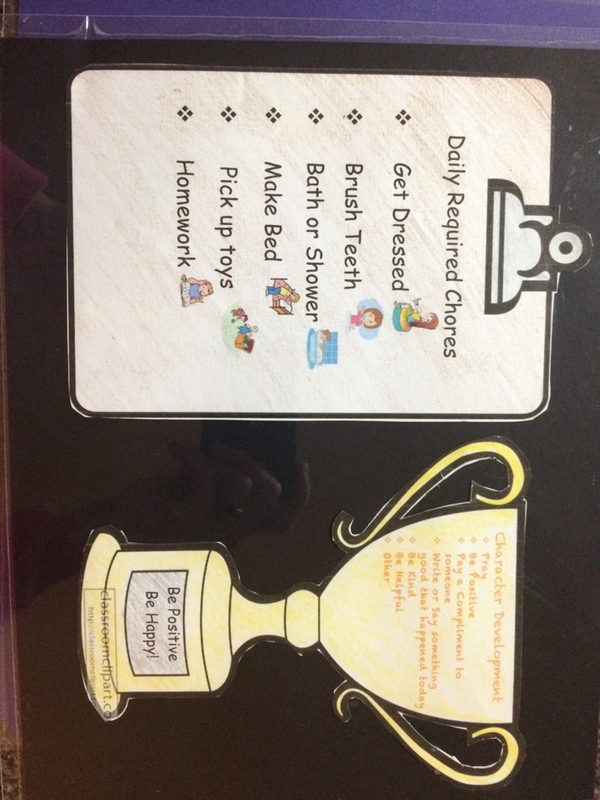 So, we targeted a few daily tasks and developed a checklist for the children to follow. 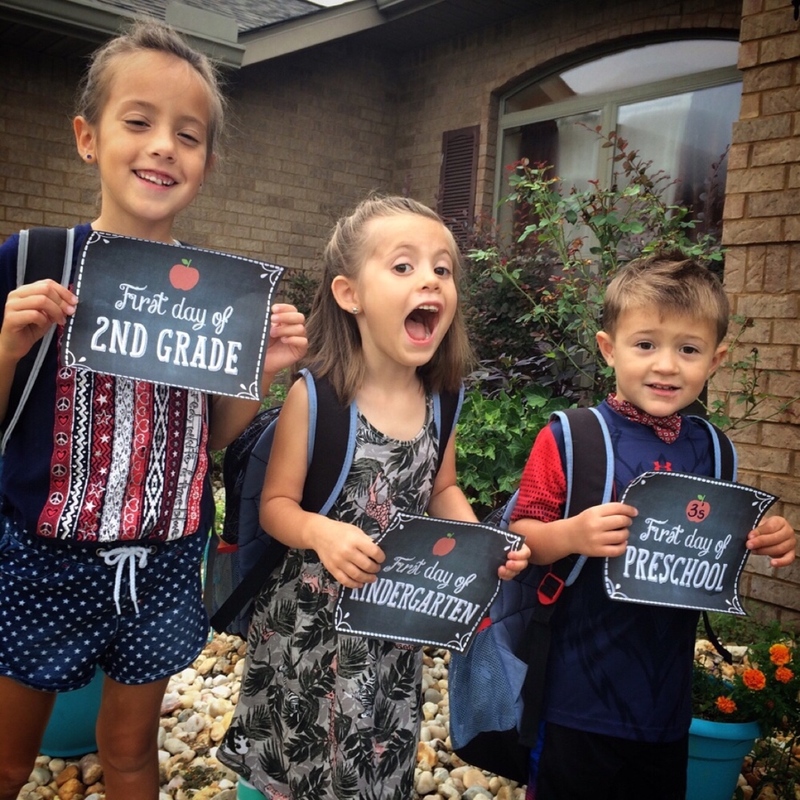 Recently we noticed a decline in positivity with our children. Doing chores was met with resistance and arguments were frequent. 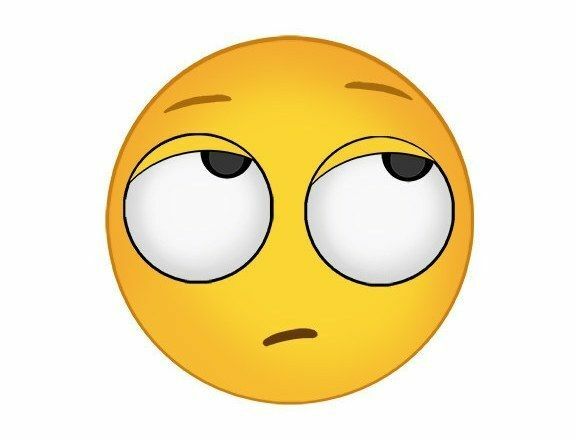 By nature an upbeat person, this behavior and negativity drove me crazy. 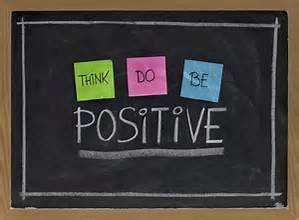 Consequently, one of their daily activities, for 10 cents each, is to choose something from the Character Development list to practice the art of positivity. Just like our personal daily workouts, my husband wanted to instill an enjoyment for physical exercise. In order to receive the next 10 cents they had to pick one exercise from the chart below (P.E. and recess work just as well). 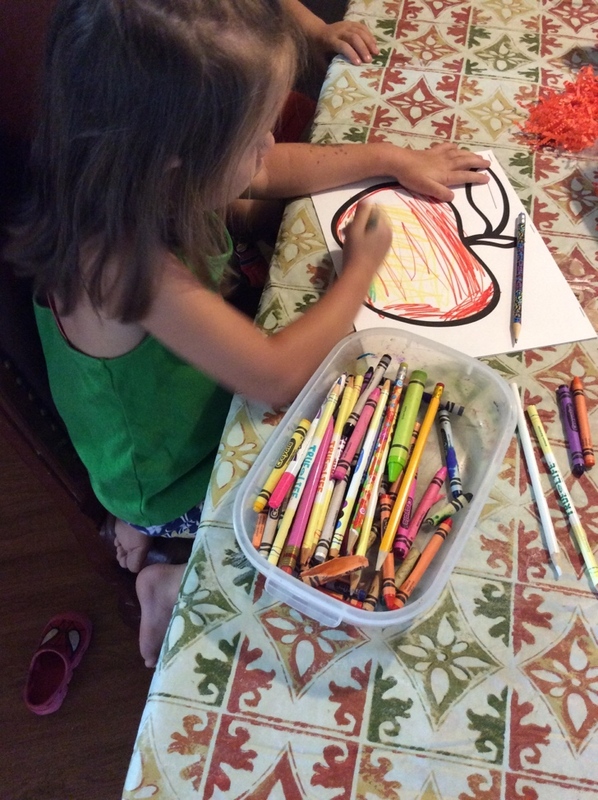 Additionally, we would love for our children to find a medium to communicate and express themselves through art. It could be music, painting, crafting, really the choices are endless! Our last section is the extra chore zone. 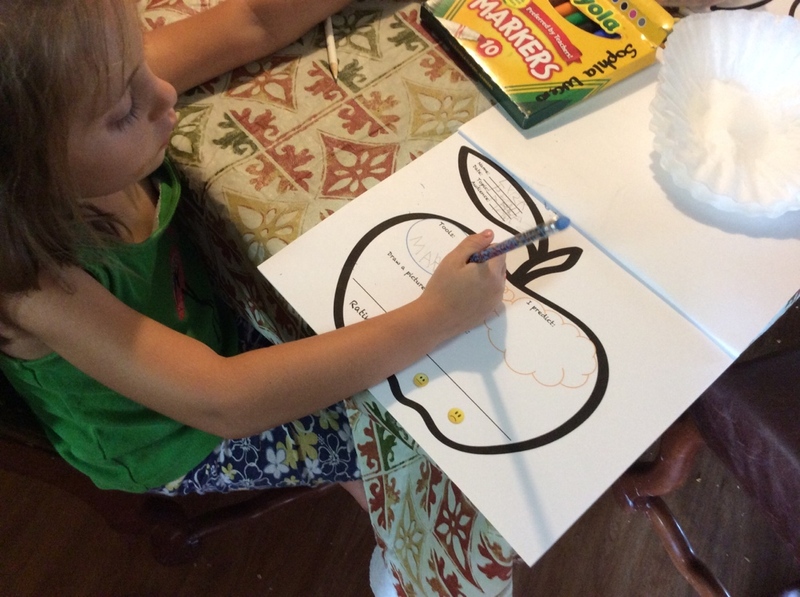 For twenty cents a day, our kids choose 2 daily and 1 weekly chore within their zone. I separated the house into three zones because we have three kids. However, I could easily make more zones or even separate the bathroom and laundry. 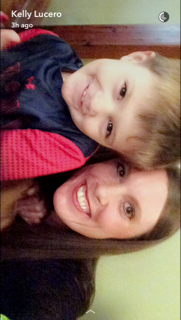 My little guy, the three year old, obviously needs a bit more support but, he loves being able to pitch in. After finishing up with the chores, I printed, colored and laminated the pages. We use an Expo marker to keep track of the daily chores. Here is a link to what I used for Laminating Pouches. They are sturdy and a cinch to use. 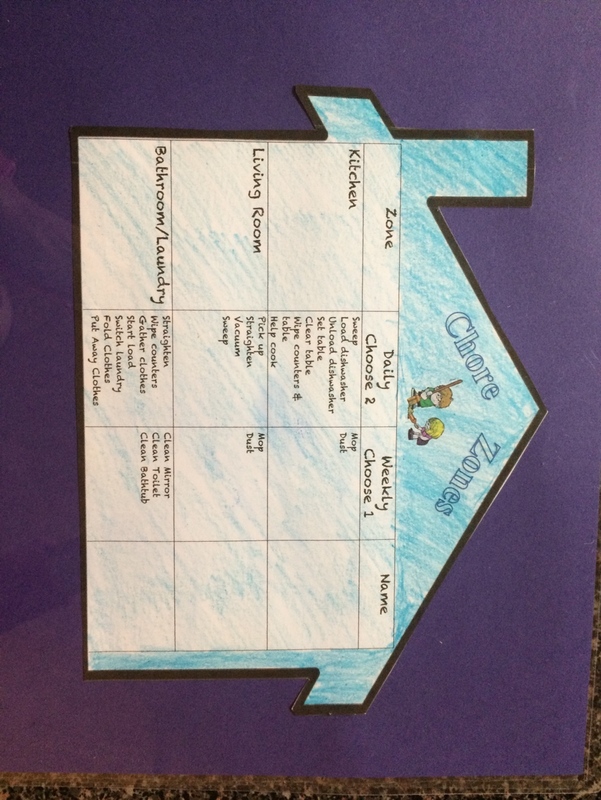 For those interested in trying or creating their own chore system, templates can be found in my Etsy shop. Why Blog? For years I have dreamt of sharing my ideas. However, for one reason or another, I was persuaded away from pursuing my dream. This last spring the idea again began to take root. But, I needed time. 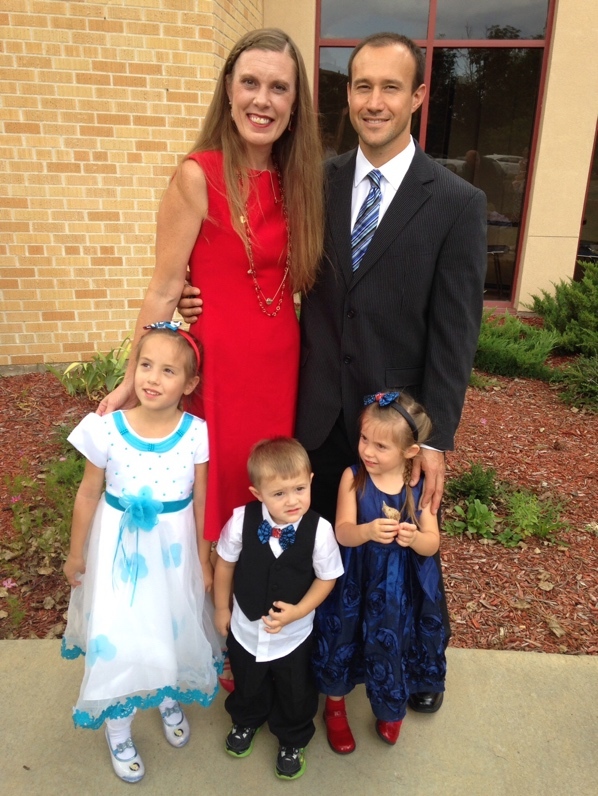 With three young children, I needed to free up hours to fully commit to my blog. As a way to earn extra income, I began to work as a Rodan+Fields consultant. Not only do I absolutely love the products but it has given me the income to send my youngest to school three days a week. Now armed with a couple of personal days a week, it is time to embark on my blogging journey. What then will you see on this blog? What materials will I share? Separated by category, I will share a variety of personally created helpful tools from organizing, creating and traveling with children to my personal favorite reading, writing & literacy. 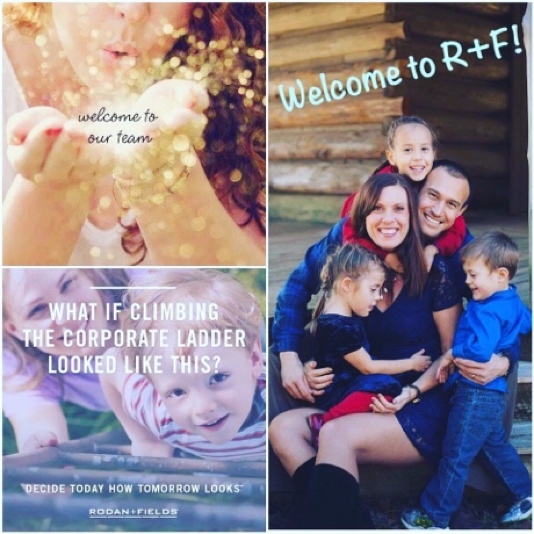 Additionally, I will share my experiences with Rodan+Fields and my life as a Trim Healthy Mama. Trim Healthy Mama (THM) is a book created by Serene Allison & Pearl Barrett which has enabled me to lose over 40 pounds and go from a size 16 to a size 4. Many of my projects will be free and others will give you the opportunity to upgrade for a nominal fee. I am also open to new ideas. If you are looking for someone to help share your ideas, contact me and I can help! Overall, please enjoy the site and let me know what you think. Comment below, consider signing up for my updates and share away! How did the name Venture2Learn come about? Venture equates to a journey. Not only do I personally love to travel but, I enjoy leading children on adventures through a creative approach to education. 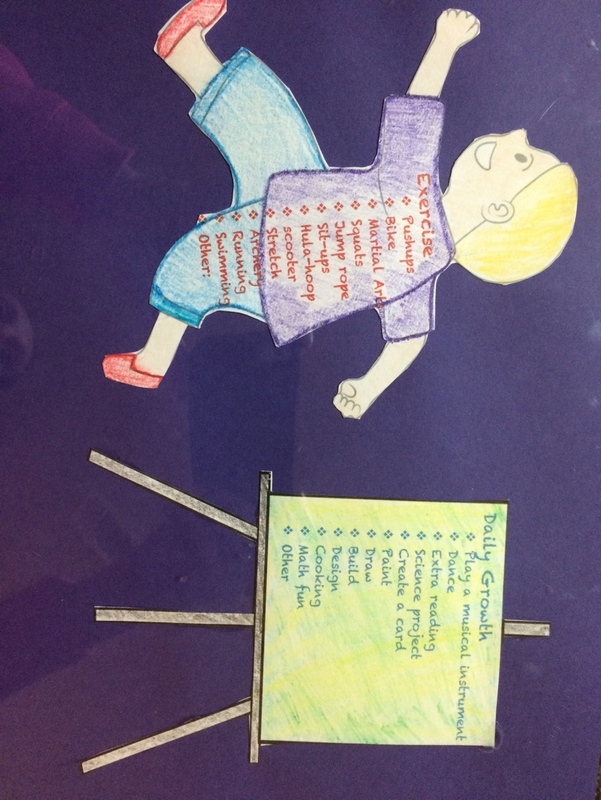 Learning invokes an excitement to share my ideas and reach out to variety of learning styles. So get ready and Venture2Learn!